Natural handmade soap can replace tonics and lotions. 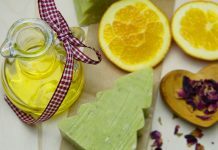 How to choose a good handmade soap? Handmade Soap mask is a real find for face care. How to store handmade soap properly? 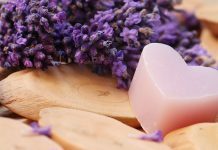 What is the role of essential oils in handmade soap? Home Soap Natural handmade soap can replace tonics and lotions. While washing, few people wonder what properties have an ordinary piece of soap, as well as what effect it has on our skin. As a rule, the requirements for soap are quite simple, it should be perfectly washed, smell good and of course eliminate various contaminants. Nowadays handmade soap is gaining popularity in many countries around the world. One of the most important properties of natural soap is hypoallergenic. Organic components, which are included in the soap, are useful and necessary for our skin. Thanks to the right combination of active ingredients for any skin type, it is possible to choose an individual grade of soap. The handmade soap contains various additives and oils that have a nourishing, softening, anti-inflammatory and bactericidal effect. In other words, this soap is a therapeutic and cosmetic product that protects against the action of hard water. In addition, it is a good substitute for tonics and lotions. All of these cosmetic products are used for cleaning the face, but why do we need to pay more? Handmade soap is not only useful, but also it smells good and its design gives an aesthetic pleasure. 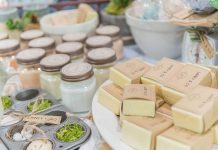 Previous articleHow to choose a good handmade soap? © 2019 Handmade Soaps. All Rights Reserved.